From all the steps, it was really difficult to figure our what this month’s animal would be. Can you believe how fast this month has gone by? This was a super busy month for me, I’ve actually been knitting like a madwoman! Can you believe I’ve finished 2 and half pairs of socks? Yes! I have finished my beautiful Aquagirl socks (actually not mine, they are Tracy’s!) From left to right, the patterns I used are Sock it to me! by Patons, Mercury socks by Kim Drotar and Glynis by Cookie A.
I’ve also been crocheting fingerless gloves (Charmed gauntlets by Nerdish Delights) and a shawl (Blurre by Addydae Designs) to keep me warm. 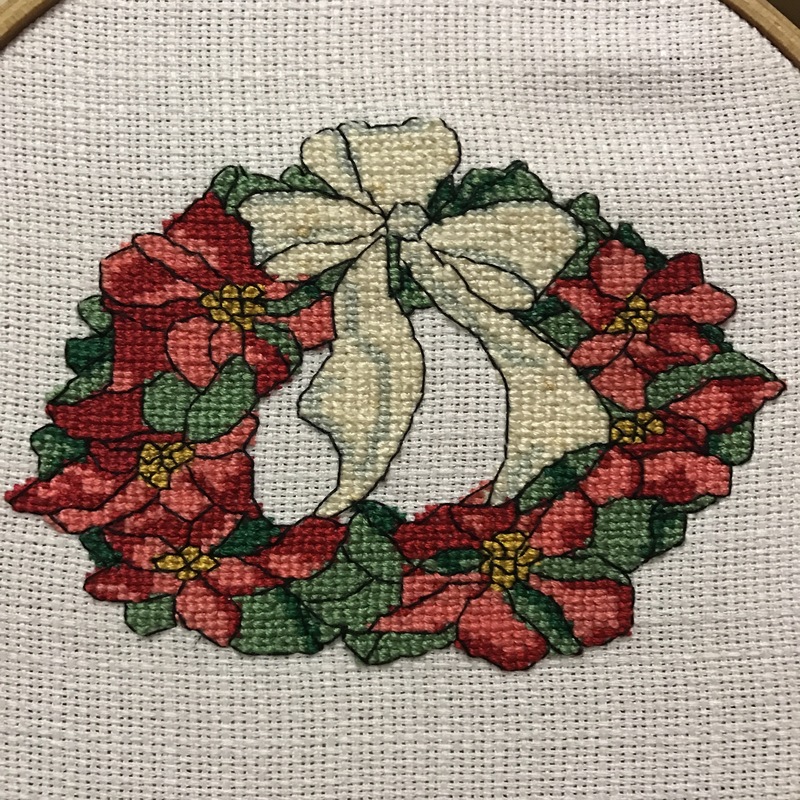 And of course I’ve been doing some cross stitching as well, albeit not as much as I would have wanted (it’s actually quite hard to stitch with cold fingers). I’ve only just finished the May SAL from Helene et Mahelia, in June, shame on me! 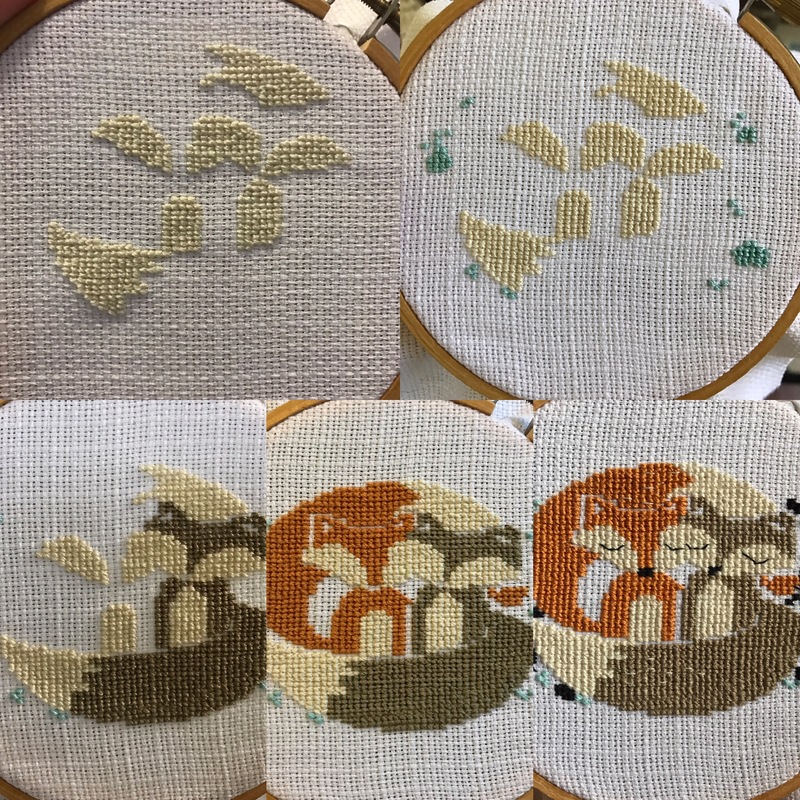 One of my main goals for July will be to catch up on my SAL and to decorate my project bag, and because I like multitasking, I’m actually going to stitch the SAL on my bag! Talk about genius! I also have plans to finish a beautiful crochet top from Oceans Originals, I have been delayed slightly as I ran out of yarn (I’m sorry Kelley I’m getting on to that asap!) And of course, I can see more socks in my future, now that I’ve started there is no stopping me!! May was birds again, and just look at them, they are adorable! I still need to finish off the April one and obviously do this one as well, I might get them done over the weekend. I am very late this month for the SAL I participate in, over at Helene et Mahalia. But I finally finished! yay! I’m probably going to get straight onto May and finally catch up by the end of the month (it should be easier too once the ripple blanket is finished). Anyway, here it is! It’s super cute as usual, and this last month was a mama bear and her cub 🙂 so lovely! What a week! And I can’t believe it’s already the end of April, which means that a third of the year has already gone by. I thought that this called for a roundup on my year so far. I have been bad and actually have more wips than when I started the year, with only one project that I finished from my previous wips 🙊 oh well! And I also have socks to knit! Thankfully I also had plenty of finished projects in the last 4 months, here are the photos to prove it! I wish you all a beautiful weekend, here we have Monday off for Labour day and you know what that means: more crochet time for me! Yay! Once again I am joining in Helene’s Stitch along on her blog Helene et Mahelia. This month’s design is another forest critter, a little robin! 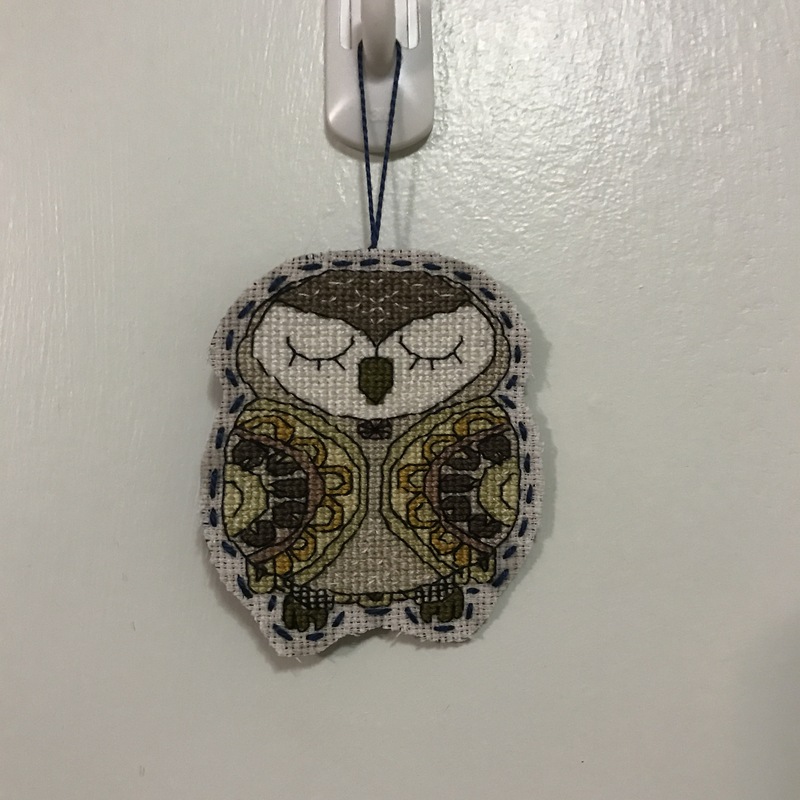 This month was super quick to stitch, and I turned this birdie into another cute ornament. February is over and so far I’m managing to keep up with the SAL from Hélène et Mahélia. Here is my February month, those little foxes are just too cute! That’s it! 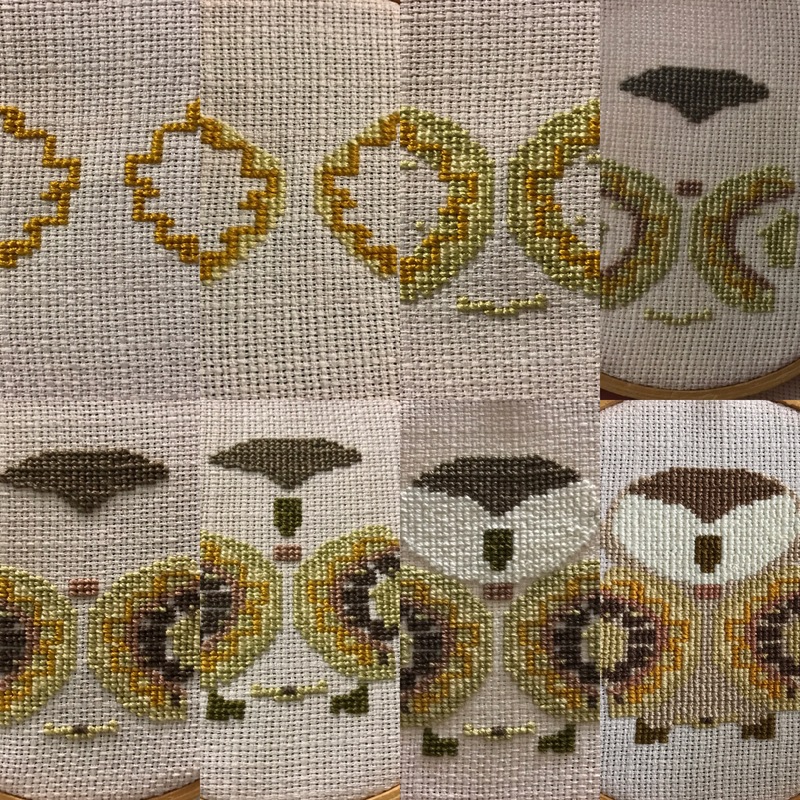 I’ve finally stitched all the 2016 designs organised by Helene. Now I need to get my fabrics organised and get sewing, to make my nana a quilt with all the finished cross stitch pieces. Better get that sewing machine warmed up! It’s already the end of January and I’m joining Hélène this year again for her SALs. This year, she is bringing us for a stroll in the forest. 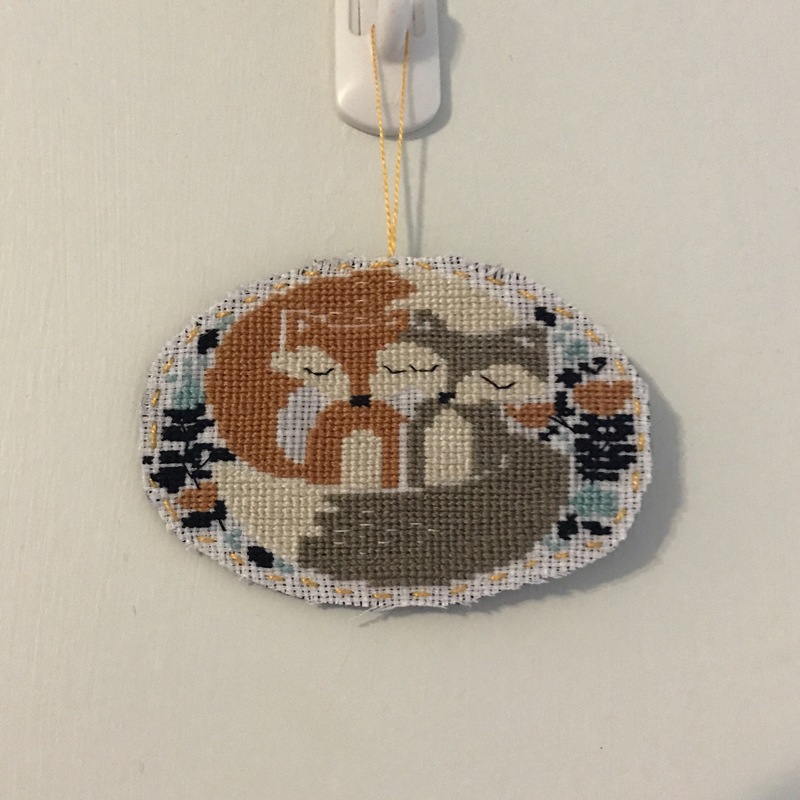 As promised, today is part 2 of my 2016 roundup: my finished cross stitch projects. 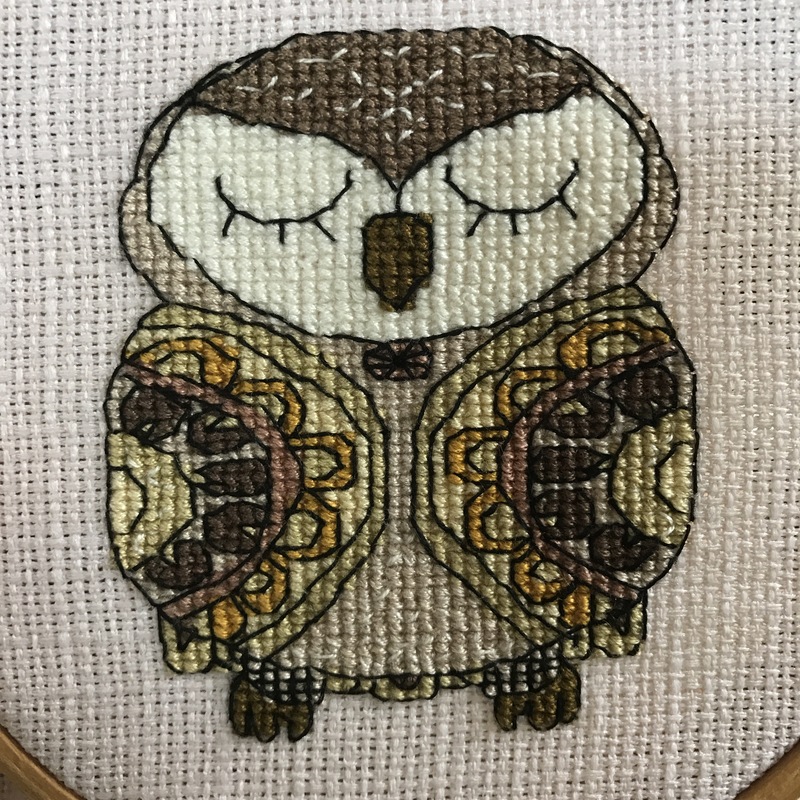 In total, I have finished 20 cross stitch projects last year, 10 from Helene et Mahelia SALs, 2 Christmas gift bags, 1 wedding album cover, 1 ornament, 1 pair of earrings, 1 table centre, 1 bookmark, 1 Ravenclaw shield, 1 hoop art and my big PokeAlphabet.